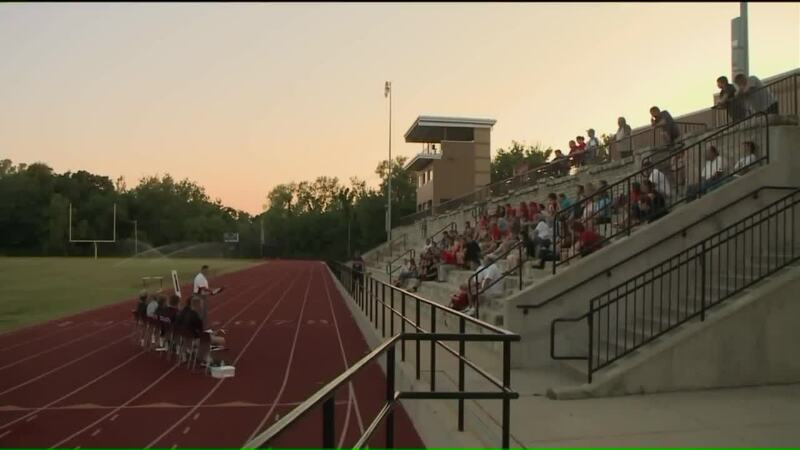 HERCULANEUM, MO (KTVI) – The Herculaneum High School community came together Friday night for a vigil remembering the life of a student who left a lasting impression on the student body. Austin Ray passed away May 31 on a Disney cruise to Alaska with his family. His parents said he simply stopped breathing. Ray was born with a rare genetic metabolic condition that damaged his kidneys, liver, muscles, eyes and central nervous system. Despite the young man's failing body, his spirit was strong; that's what his fellow classmates were remembering about him at Friday's vigil. He made the wrestling team as a freshman, played on the baseball and football teams, and also served as the basketball manager. Ray would have been a junior in the fall semester and was set to play on the football team again. The Herculaneum football team will wear a commemorative decal with his number on their helmets this season. And Ray's number will be on the sleeve of the team's camp shirts.